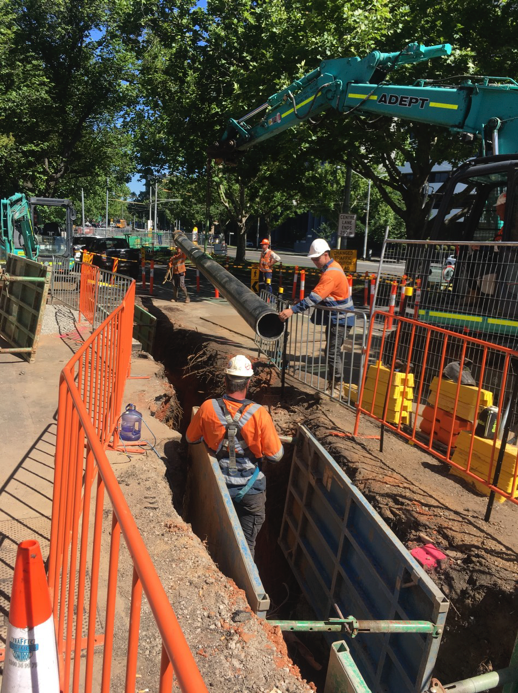 Adept Civil Group was awarded the contract to complete the water relocation alignment as part of pro-posed new station to be built at St Kilda and Domain Road. 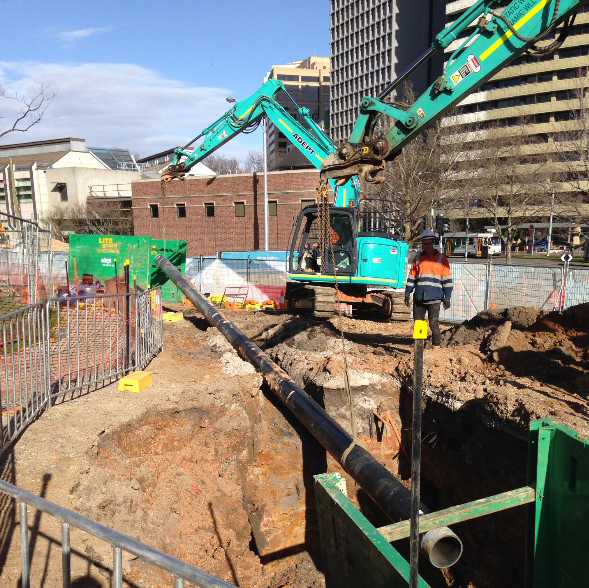 The works involved open cutting and boring 250 meters of DN 300 MSCL and connecting into the existing mains. The works required our team to manage and work around the many services located in the area.